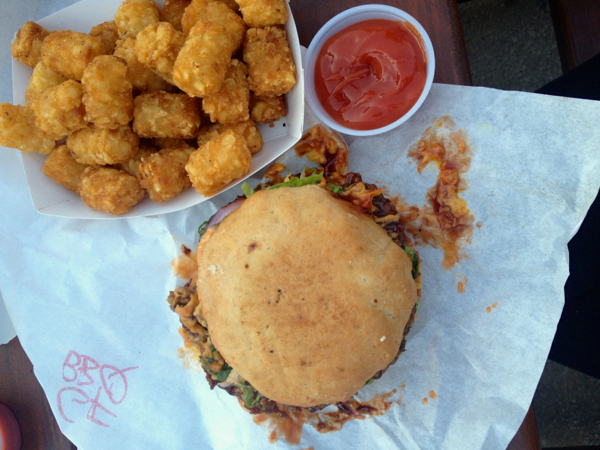 The Tiny Trailer crew noms burgers like a boss. On the second and final day of VVCIII, we overslept and rolled into the con a little bit late. All of the classes had already started, but the breakfast bar was still open, and my friend JL was relaxing with a few other folks at the Fair Winds Press lounge area, so we decided to sit down and enjoy ourselves. Breakfast of Champions from the taco buffet. 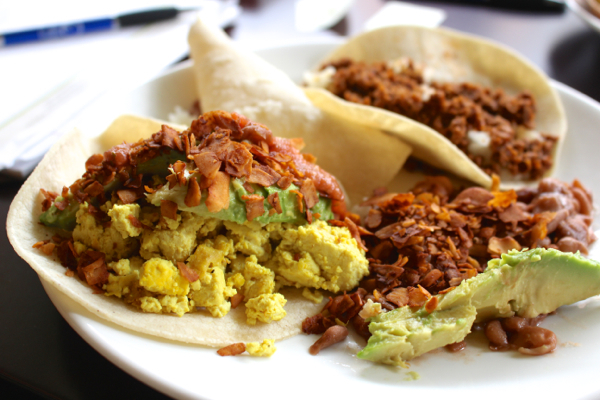 These tofu scramble-avocado-coconut bacon babies were beyond amazing. 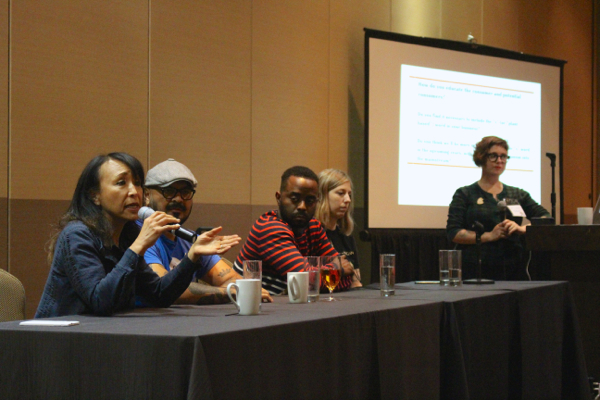 While we were eating we could hear the incredible energy of Miyoko Schinner as she delivered her rousing presentation on “Exploits of a Veganpreneur: Experiences & Lessons Learned Through Growing Multiple Vegan Businesses.” It sounded like a blast! 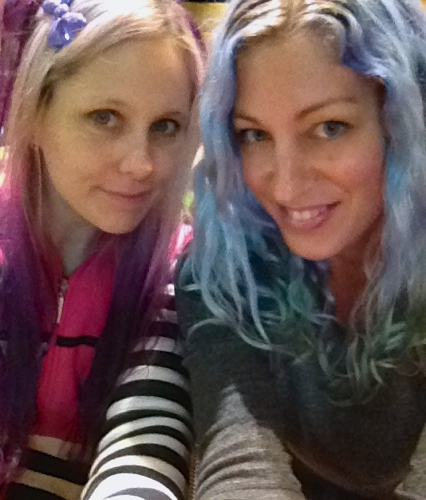 With my new friend Robin from Vegan Dollhouse, representing for the mermaid-haired vegan moms! During that same time slot, there was also Jill Pyle, founder of Vegan Cuts telling her story, “From Vegan Blogger to Internet Entrepreneur,” and Monique Koch speaking on “Honesty In Your Online Presence.” I heard that Monique’s talk was very moving, and after having the pleasure of sitting with her on the Parenting Panel (and hanging with her afterwards), I’m not surprised. You can see more from Monique on her youtube channel, Brown Vegan. As soon as the Athlete Panel finished up, I hightailed it over to the other salon. I was so excited to see my friend Brian presenting “Tweet Like You Give a Damn: Social Media and Why You’re Doing It Wrong (IMHO),” and of course he did not disappoint. This presentation was packed full of information, as well as lots of humor. ‘Cause that’s how he do. Sharing the time slot was “Entrepreneurialism 201: Consistency, Tips & Tricks on How to Keep Your Brand Alive After the Big Idea” from Ayinde Howell (I heard he had the whole room dancing! ), and “Breathe New Life into your Writing” from The Oregonian’s Grant Butler. Lunch! The buffet was a taco + salad bar, and it was awwwwwesome. I know that picture is not so pretty, but I swear it was delicious. 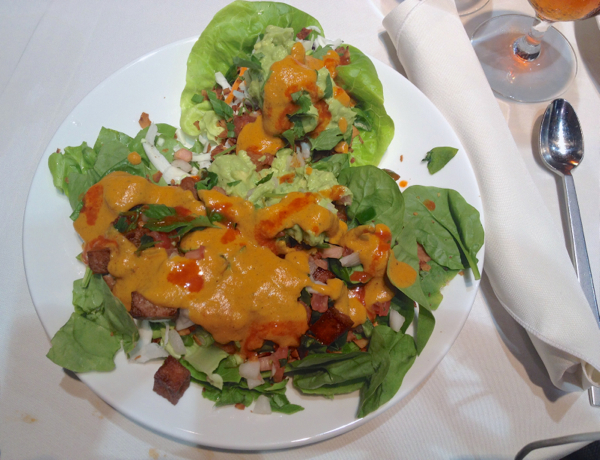 I had a salad with 2 lettuce-wrap tacos, filled with tofu and tomatoes and onions and coconut bacon and guacamole and all smothered with nacho cheese YES PLEASE. After lunch it was back to classes, and I was so happy to get back to learning. I gotta say, I’ve attended and spoken at every VVC, and the level of professionalism and expertise at this con was just off the charts! In the past, I’ve spent as much time skipping classes and socializing as I did actually attending presentations. But this year? I think I hit all but 2 or 3 sessions over the entire 2 days, and it was just so exciting and enriching. And inspirational! Love it love it love it. And okay, I WILL! Following the Vegan Economy panel was a solo talk that I was really looking forward to, by one of my current favorite bloggers, Lacy Davis of Super Strength Health. 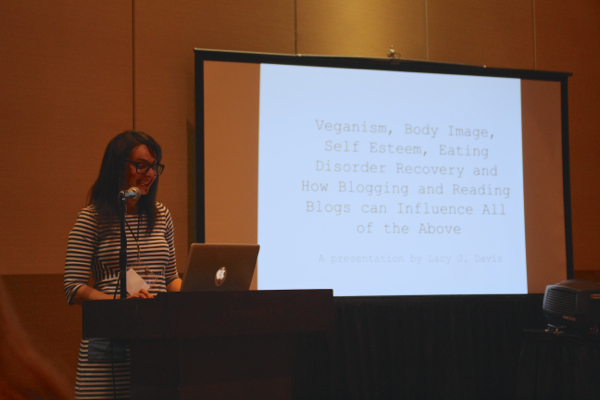 Her talk was called “Veganism, Body Image, Self Esteem, Eating Disorder Recovery, and How Blogging & Reading Blogs can Influence All of the Above,” and as you can probably imagine by the title, it was fan-freaking-tastic. A lot of what she spoke about ties into things that have come up again and again with my coaching clients, and things that I’ve written about here, and also things I’ve spent a lot for time thinking about behind the scene. I once heard bloggers referred to as “envy peddlers” and I don’t EVER want to be a part of that. I wrote about it a bit in my big goodbye post when I took a year off from blogging, and I’ve been so much more mindful of not *being a part of the problem* (ie, authenticity NOT positivity) since I’ve been back. Anyway, Lacy was inspiring and she’s written a few blog posts since she’s been back that relate to this topic: Veganism, Body Image, Eating Disorder Recovery, and the Blog-o-sphere and Clean is for underwear, not food. That’s good readin’, folks. 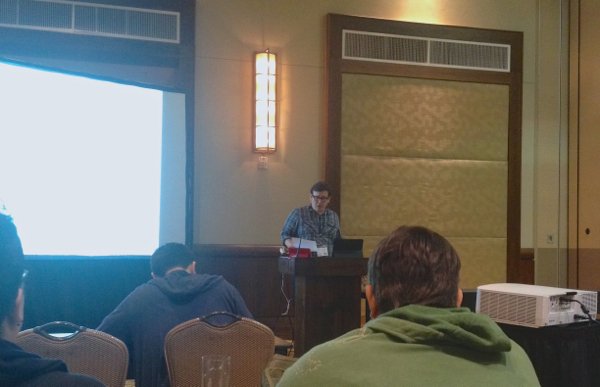 I don’t have a picture of it, but the final talk that I attended wasn’t really a talk at all. Instead, my friend Bianca hosted an informal conversation called “Ethics of Vegan Dining & Boozing,” where we were all given prompts and hypotheticals, and encouraged to discuss where we each draw our boundaries when eating and drinking at restaurants (ie, Eat nothing that was fried in the same frier as non-vegan foods? Or conversely, like if it’s not on Barnivore and can’t be confirmed as NOT vegan, then don’t sweat it? Etc.) It was a fun exercise, and definitely interesting to hear where, and why, various people draw their lines. And then just like that, it was time to say the final goodbye. We all filed into the ballroom to hear the closing talk from the indomitable VVC founders, Jess, Janessa, and Michelle. What incredible women, and what a freaking accomplishment! It was a very heartfelt goodbye, with an open mic where attendees were invited to share their thoughts and experiences from this VVC, and VVCs past. So many connections, true friendships, business relationships, and beautiful beginnings have been borne from these 3 conferences. There were a lot of tears in the audience, I’ll admit, and also a sense of community stronger than I’ve felt in a long, long time. And after that, it was time to par-tay! 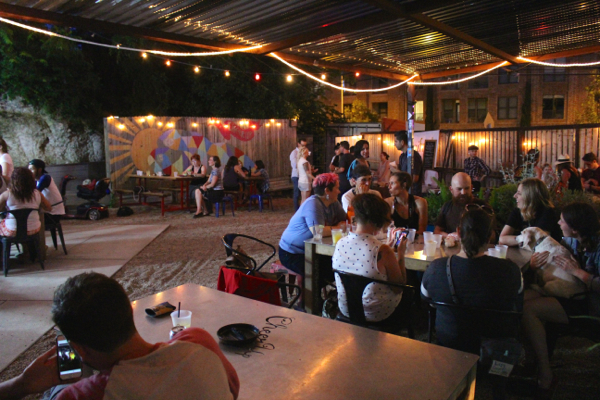 The final meet-up was at an adorable bar called Cheer Up Charlie’s, which also happens to be the permanent home of Arlo’s Vegan Food Truck! There was music and food and drinks and much excitement. Sad goodbyes and so many hugs. And I was pretty emotional, if I’m being honest. I’ve made some very real friends through the years at VVC – people who I only get to see every few years at the Con. And knowing that there won’t be another con to bring us together again? Very sad. I am so grateful for these friendships I have made, and for this amazing VVC community. But — it was also sad. 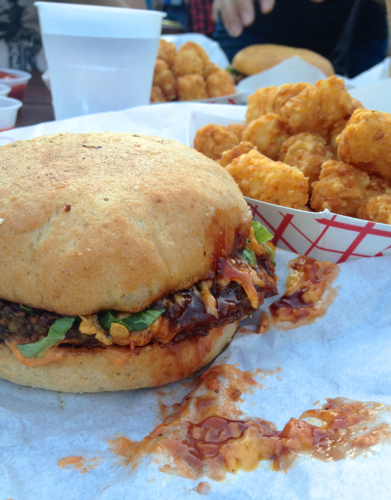 The BBQ cheeseburger from Arlo’s was maybe, I think, the number one best veggie burger I’ve ever eaten. SO. GOOD. And that, my friends, brings us to the end. We’ll be back to regularly scheduled blogging now. Thank you for allowing me to share this experience with all of you. Viva VVC! Wow, it sounds like such a meaningful, and beautiful experience! 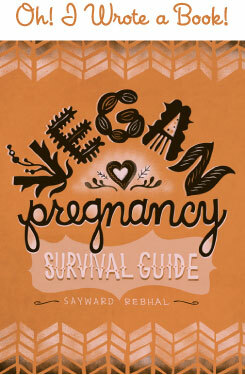 I feel inspired to keep pursuing my vegan dreams of making the world a safe place for animals! 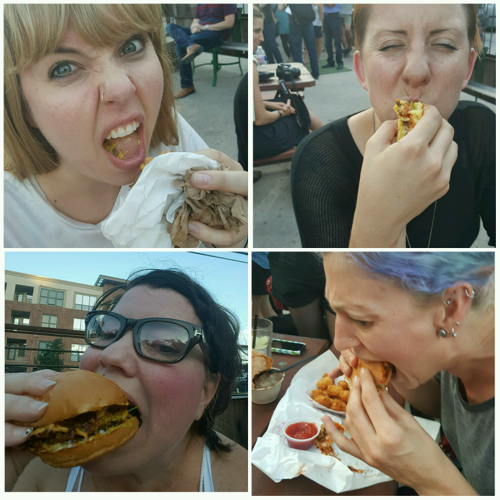 Thanks for sharing your experiences and awesome photos! VVCIII looks simply fantastic! I’m so glad I got to see it through your posts! I’m especially glad you got to go to Miss Lacy Davis’s talk! I know that was an amazing thing to hear and see. 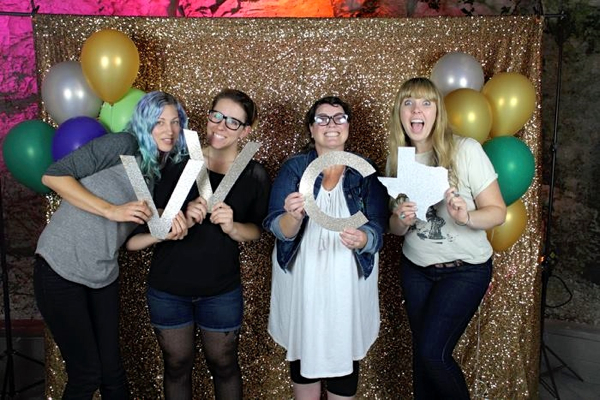 Thanks for sharing your VVCIII experiences with all of us that weren’t able to go this time around, I’ve enjoyed seeing all of your VVC posts from each event you’ve gone to! Year after….oops. Got distracted at work and totally hit publish before that sentence was done. Wow. This sounds like so much delicious fun. Thank-you for such a comprehensive recap. The vegan community really is the best. I wish we were still there too! And yes, I am praying that some other veganprenuer picks up that ball and runs with it. Okay, if nothing else we will reunite at Beer Fast! YES! Thanks Angie, and I couldn’t agree more about our amazing community.